On a rainy at Loyola Blakefield, the top-ranked and undefeated Dons hosted Mount St. Joseph in MIAA A Conference action and scored a 6-3 victory. Both teams scored in the first 20 minutes, as Loyola (12-0, 11-0 MIAA A) broke on top with a goal by Dominic Caltabiano, assisted by Ben Gallagher, and Nate Porter countered for the Gaels (5-7-1 Overall and MIAA A) when his shot deflected off a Loyola defender and the post, before making its way across the goal line. The Dons scored two more times in the opening half, John Peterson finished at the end of a nice combination play, from 10 yards out, and Chase Llewellyn scored to make it 3-1 at the intermission. Loyola ended any suspense as it scored it final three goals in the first 10 minutes of the second half to up its lead to 6-1. The second half goal scorers for the Dons were Chase Webbert, Caltabaino and Peterson. Six Dons had assists on the day, including Gallagher, Peterson, Caltabaino, Julian Schmugge, Cole Hendricks and Llewellyn. St. Joe scored two late goals to set the final score. Riely Berge and Charles Pinto netted the late tallies for the Gaels. Loyola is cruising towards claiming a top two seed for the playoffs, while St. Joe, with 16 points, remains in solid playoff position in sixth place. No. 9 Archbishop Curley continues to score goals in bunches, and the Friars netted seven more on Monday, downing visiting John Carroll, 7-3. Curley (8-7, 7-6 MIAA) built a 4-0 halftime lead on goals by Jalen Anderson, Anthony Dragisics, Walter Wyatt and Nick Lawry. Gavin Green got John Carroll (3-14, 1-12 MIAA A) on the board early in the second half with a wicked 33 yard free kick, to cut the Curly lead to three. The Friars got second half goals from Kenny Clapp, Anthony Schlee and T Garcia to counter two more Patriots goals and put the game away. 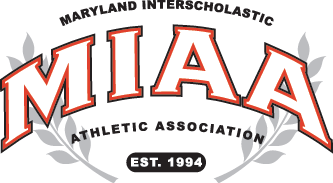 Curley is tied with Calvert Hall for fourth place, each with 21 points, both still in range of making a bid for second playoff seed. At Calvert Hall, the 10th-ranked Cardinals avenged an overtime loss at Gilman last week with a 1-0 over the No. 7 Greyhounds. Ben Bender scored a first half goal to push Calvert Hall (8-5, 7-5 MIAA A) in front and the Cardinals did a good job defending Gilman’s strength on set pieces to make the goal standup for the victory. Gilman (11-4-1) dropped to 8-3-1 in the conference, but still sits in second place with 25 points. Lawrence Aydlett, Eryk (Bobby) Sagisi and Alex Polinsky each scored a goal as St. Paul’s (3-9-1, 2-9-1 MIAA A) blanked Archbishop Spalding (6-8, 3-8 MIAA A), 3-0, to win for the second time in league play this season.